School governors are volunteers who work together with the headteacher and the local authority to improve education and other outcomes for all pupils. You don't need any formal qualifications, you'll get full training and support to make sure you are fully equipped to carry out the role successfully. If you would like to be a school governor, or are interested in finding out more, contact Lancashire County Council on 01257 516147 or email governors.central@lancashire.gov.uk. If you need to contact a member of the Governing Body, please either phone the school office or write to the governor c/o Cuerden Church School. As well as attending regular Governing Body Meetings each term, our Governors are very much 'hands on' in school! 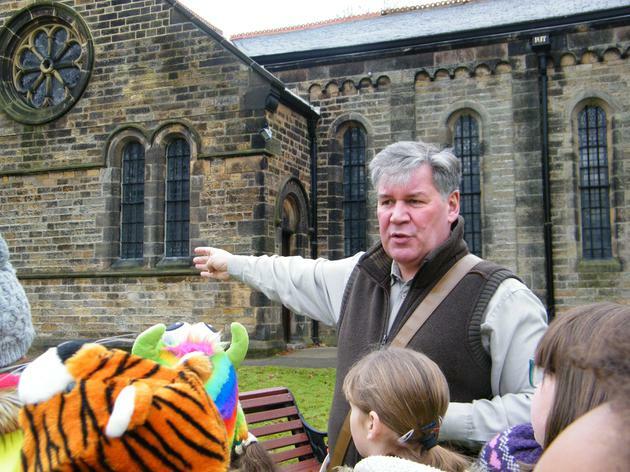 They support reading, attend worship, accompany educational visits and help us in very practical ways! Graham Halsall brought his new puppy for all the children to see. 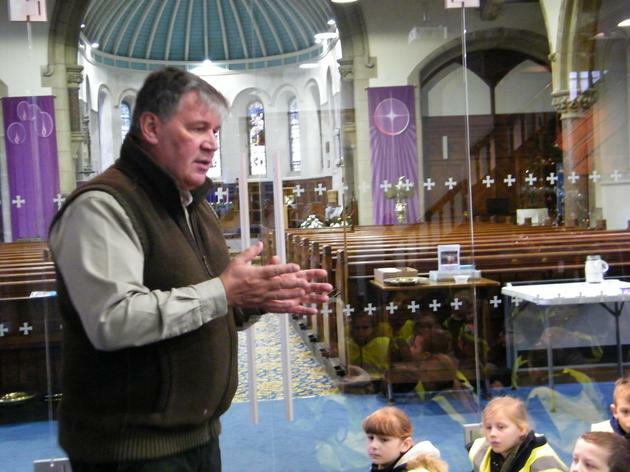 Governor: Rev Graham Halsall takes assembly every fortnight. 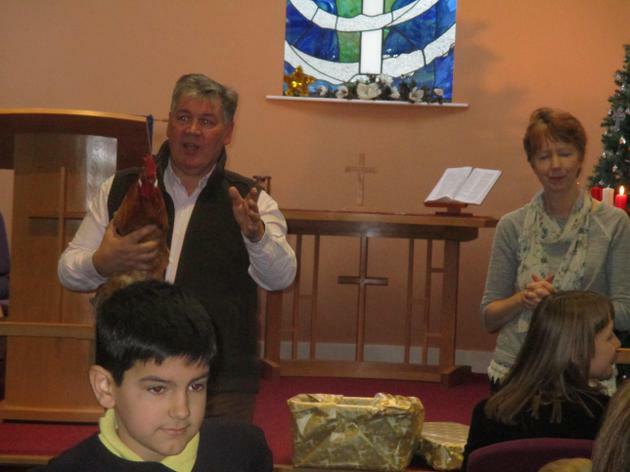 This week he had a special surprise, as children presented him with a thank you for hospitality on a church visit. 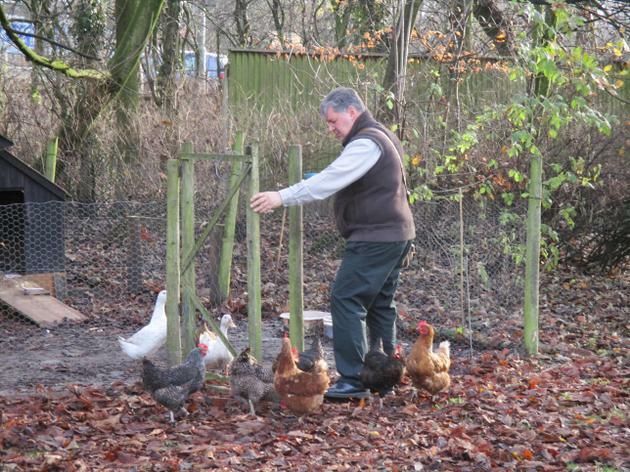 They had the added bonus for seeing his flock of chickens and having biscuits at the vicarage. 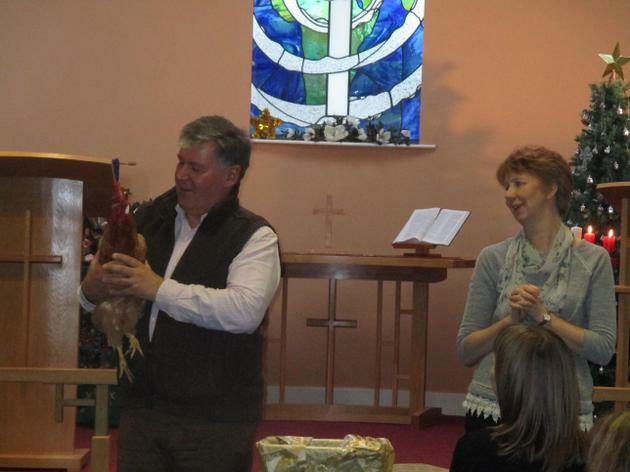 He was given a cockerel to accompany his six hens. Governors support the Homeless Project: children throughout the whole school collected for the Salvation Army Christmas Appeal.